Here are the 2011 Emmy nominations! For the tile of Outstanding Drama Series, the nominees list includes the three-time winner Mad Men, two new series, “Boardwalk Empire” and “Game Of Thrones” and the series “The Good Wife”, “Dexter” and “Friday Night Lights”. When it comes to comedies, “Modern Family” couldn’t miss the list of nominees. Its competitors are “Parks and Recreation” (starring a reborn Rob Lowe), “The Big Bang Theory”, the popular “Glee”, “The Office” and “30 Rock” (starring Tina Fey). The reality shows are not easy, as Paris Hilton and Kim Kardashian may think. Among the best reality shows that were nominated for an Emmy Award, there are “The Amazing Race,” talent show “American Idol”, dancing competitions “So You Think You Can Dance” and “Dancing With The Stars”, fashion reality show “Project Runway” and “Top Chef”. 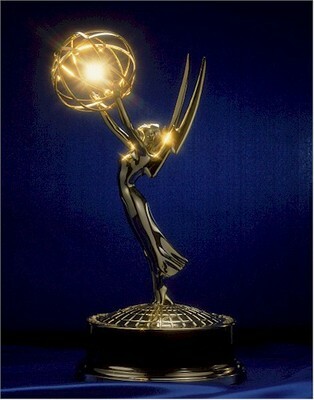 Among the actors that were most appreciated in a drama, the ones who have the change to take an Emmy Award home are: Kathy Bates (for the role in Harry’s Law), Connie Britton, (for her part in Friday Night Lights), Mireille Enos (in The Killing), Mariska Hargitay, (for Law and Order: SVU) Julianna Margulies, (for her performance in the series The Good Wife) and Elisabeth Moss (for Mad Men role). SNL got several nominations: Outstanding Variety, Music or Comedy Series and four more nominations of pop star turned actor Justin Timberlake. He entered t he competition as host, as well as for his musical contributions. Tina Fey was also nominated in the host category, but also in the Outstanding Actress in a Comedy Series category for her role in “30 Rock”. 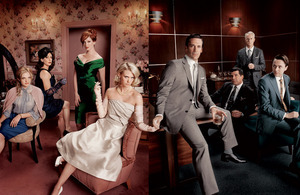 By far the most appreciated project in this year’s Emmy nominations, the “Mad Men” series brought to the cast 19 nominations. On second place “Boardwalk Empire” was nominated 18 times and comedy sitcom Modern Family had almost the entire cast nominated this year, summing up 17 Award nominations. You can find the whole list of the categories and nominees on the official page of the Emmys.